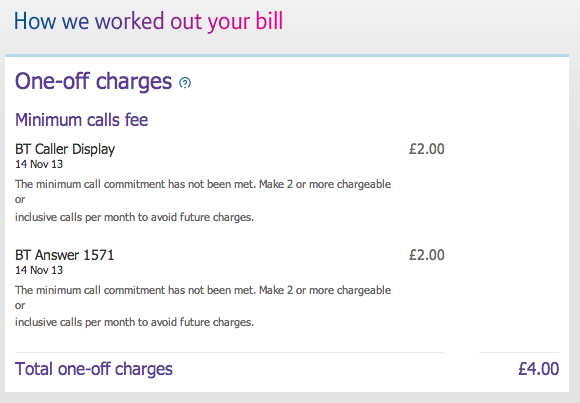 Why is BT charging me for services that they tell me are free/included? …when, further, I saw this happening a few months ago (July? August?) and unsubscribed from those services; as I see it, I should not be being billed anything either because I unsubscribed from the services, or simply because I am promised that I “get the features with no extra cost”. 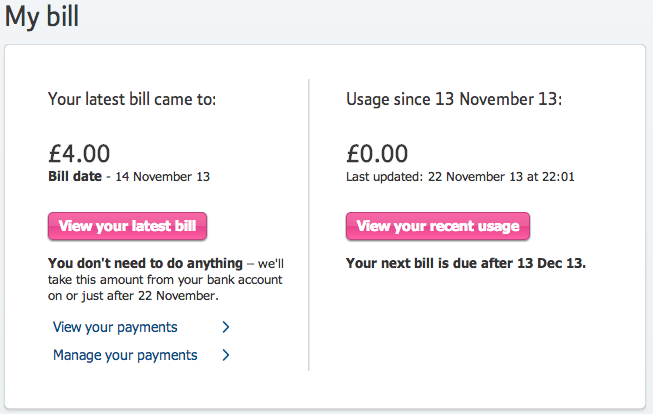 Had the same – small print for the bits I want requires me to make a chargeable call some thing like 2 times a month …. I had the same issue; I called up and they fixed up my account. I guess the original CS person hadn’t set up my account properly (possibly on bad will hoping I wouldn’t notice or complain).